As part of the Municipal Art Society’s (MAS) 2014 Summit for NYC, the Jane Jacobs Forum: Projects That Ignite will showcase three unique urban interventions with the potential to positively impact the city. This free session, taking place on Thursday, October 23, was inspired by Jacobs’ passion for livable cities and the ability of all people to change them. The three projects that will be highlighted are: Startup Box, a social enterprise and tech incubator prototype designed to increase opportunities for South Bronx community members; 9×18, a proposal that considers the city’s parking lots as opportunities to help with the affordable housing crisis; and the Boogie Down Booth, a vibrant public space in a previously forlorn area under the low and loud 2 and 5 trains in the South Bronx. 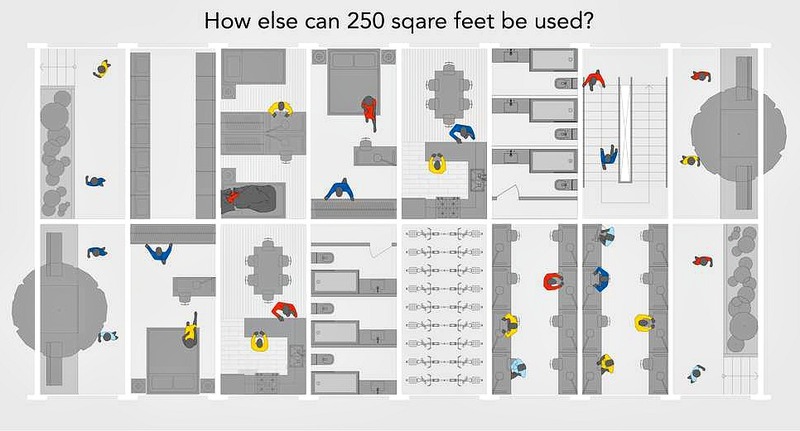 We took a look at the 9×18 project over the summer, imagined by a team of architect-fellows at the Institute for Public Architecture. They’ve looked at ways to turn unused public parking spaces in New York City into housing, co-working spaces, bike-share stations, playgrounds, and farmers markets. The group is called 9×18 as that’s the size of a typical parking spot. Startup Box is a conceptual design project by Ennead Architects and Majora Carter Group that studies opportunities for blending job training, new educational options, and start up business incubation in a shared, highly visible street-level work space. One of their ideas is to reinvent the Spofford Juvenile Center in Hunts Point. 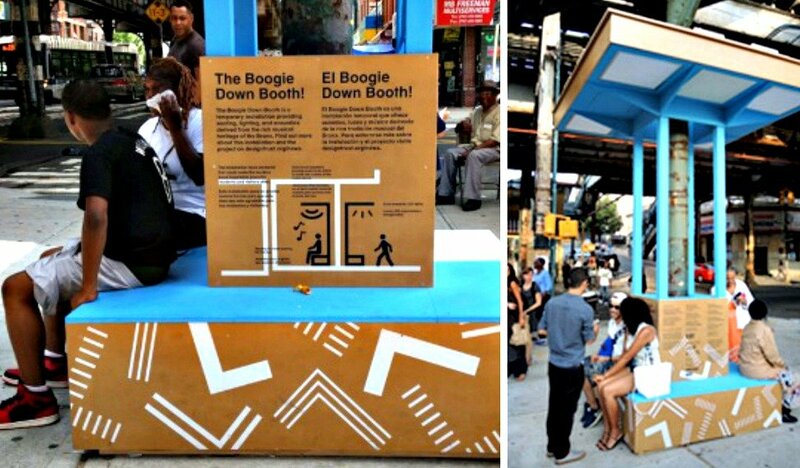 Perhaps the project with the catchiest title, the Boogie Down Booth was conceptualized by design fellow Chat Travieso, in collaboration with the Design Trust for Public Space and the NYC Department of Transportation. It’s an innovative seating area with speakers that play Bronx music curated by the Bronx Music Heritage Center and has solar powered lights. The design addresses beautification, safety, convenience, and community pride. At the event each team will pitch their idea to a diverse panel of experts, who will then provide insights on the proposals. Greg Lindsay, Senior Fellow at the World Policy Institute will emcee the event, and the three panelists are Robert Hammond, Co-Founder of Friends of the High Line, Jeff Merritt, Senior Advisor at the Office of the Mayor, and Erin Barnes, Co-Founder of ioby. The event is free, but reservations are required. Sign up here. And be sure to check out the full lineup of events for the 2014 Summit for NYC.